The latest annuity rates should be your essential guide to how rates have changed over the past month and year as well as news and articles. Use this information to be better informed before buying your annuity. If you are buying a lifetime annuity you only have one opportunity to secure your income so make sure you are aware of where the annuity rates are now, where they have been and what could happen in the next few, days, weeks or months. Our updates cover the changes in equities that could affect the size of your pension fund, 15-year gilt yields which can impact on the pricing of pension annuities and the position of the providers with their market pricing. Use the archive table above to navigate to previous months for a review of the changes in annuities across the market at that time. You may be surprised at the range of changes that occur from males, females and joint life's and the difference in the changes between level and escalating annuities. See what the outlook is for annuity rates, the direction and likely amount they will change in the short term. Our tables give you the latest annuity rates for single and joint life annuitants retiring at different ages from the minimum of age 55 up to age 75 although there is now no compulsion to purchase an annuity at any age. 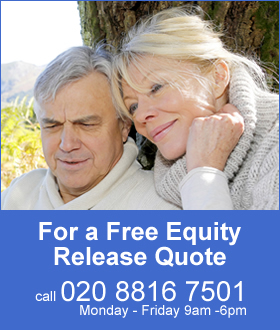 For single life annuities we have shown a range of popular features pensioners can add to an annuity from the highest possible income on a level basis where the income remains the same during your lifetime and payable monthly in advance, this basis with a 10 year guaranteed period and a fixed rate escalation of 3% per year and no guaranteed period. For the latter the income increases which can counter to some degree the effects of inflation. For the joint annuity we have shown the highest level, monthly advance with a 50% spouse's benefit. This means on the annuitants death half of his income will be paid to his spouse for her lifetime and we have also shown the latest annuity rates for a 100% joint life basis. The final example is for 50% joint and 3% escalation. These rates are based on a central London postcode and other areas in the UK, such as Peterborough or Liverpool could be up to 4% higher or Dundee and Newcastle could be 5% higher. Our review follows a benchmark example of the level of income paid and how this changes over a year and display this in charts to give you an idea of where annuities are today. Our outlook of the latest annuity rates are split between standard annuities for pensioners in good health, smoker and impaired health annuities which have their own expectation for change over time. We do this as providers can take a different view of rate changes as the standard life providers are large companies such as Legal & General, Aviva and Canada Life compared to smaller providers of impaired annuities such as Just Retirement, Partnership Assurance and MGM Advantage. This means larger providers can sometimes hold their rates longer whereas smaller providers change their rates daily. Our outlook compares the changes in gilt yields to the annuity rates changes over six months and give an expectation of what the latest annuity rates will do in the short term of about four to six weeks. 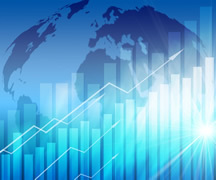 In the longer term other factors can influence pension fund values and annuities such as Quantitative Easing, problems in the Eurozone, government bond purchases worldwide and equities. Each month we review how annuities have changed in the last month and look at the market across nine annuity rate sectors for both standard and smoker rates. We show whether these have decreased or increased in their own right and also show how the latest annuity rates have changed across the whole market. This can be useful as it shows for example if male level rates are changing more quickly than 3% escalating or 50% joint life annuities. The changes within the market reflect how providers are viewing different aspects of the market increasing rates for certain annuities which could mean a 100% joint life annuity that increases looks more attractive than a decreasing 50% joint life annuity. Charts are always useful to see the picture over the last year and we provide charts for pension income and the amount of the changes over time based on our benchmark example. The benchmark is for a male aged 65 with £100,000, level, single life annuity with no guaranteed period. We maintain archives of market changes for every month which can be accessed from these chart pages. Simply select a month from the table at the top of the page for the desired year to see the pension income and how the latest annuity rates have changed relative to previous months. Pension fund values and latest annuity rates are influenced by many factors including Quantitative Easing, changes in the Eurozone, government bond purchases worldwide and equity movements. In many cases decisions made in the US can result in a fall in gilt yields which in turn can mean a sudden fall in the impaired annuity rates as the providers in this market are very sensitive to change. For standard providers the change may take longer as they tend to be larger companies with greater resources. We publish regular news and articles about these changes so keep up to date with how all this news will change your pension income. Annuities are based on the 15-year gilt yields as providers use these mainly to fund the income from the annuity purchase. Gilts are UK government bonds or debt that the government issue to raise money for funding purposes and is purchased by investors that require an income. These gilts are guaranteed by the UK so are very safe and in uncertain times are in high demand. This means that their price increases and the yield decreases and a a consequence the latest annuity rates paid will decrease as well. Following gilt yields is a very accurate way to predict what will happen to annuities although sometimes providers will tend to increase rates slowly and decrease rates quickly if it is in their interest.